Physician assistants (PA) are health care professionals licensed to practice medicine with physicians. As part of their comprehensive training, PAs conduct physical exams, diagnose and treat illnesses, order and interpret tests, counsel on preventive health care, assist in surgery, and can write prescriptions. Upon graduation, PA’s take a national certification examination developed by the National Commission on Certification of PAs in conjunction with the National Board of Medical Examiners. In our office, Mary Beth Johnson will evaluate and treat the same types of problems as seen by Dr. Manish Suthar. 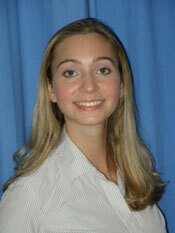 Mary Beth works in tandem with Dr. Suthar in spine and orthopedics. She has become a “seasoned” and experienced practictioner who has worked in this capacity for years. Over the years, Mary Beth has developed a very strong reputation for caring and working with our community and patients. Together, our hope is that we can serve our patients in a timelier manner without sacrificing quality of care. Physician Assistants (PA) are found in all areas of medicine. They practice in the areas of primary care, pediatrics, surgery and specialty clinics. In general, a PA will see many of the same types of patients as the physician; within the scope and style of the practice. In our office, Mary Beth Johnson will evaluate and treat the same types of problems seen by Dr. Manish Suthar. Our hope is that we can serve our patients in a timelier manner to alleviate their suffering. Patients evaluated by Mary Beth Johnson will be closely reviewed with Dr. Suthar prior to any formal start of treatment. This team approach will serve to better help patients as we can collaborate to provide better care. Mary Beth also oversees preliminary reports as they become available so that we may take more timely action on certain types of problems.